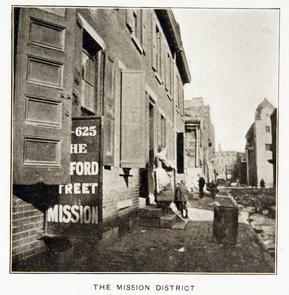 The mission was established by a Methodist Episcopal group in 1852 to "promote physical, moral and religious well being" by providing food, clothing, shelter and education for children and adults. 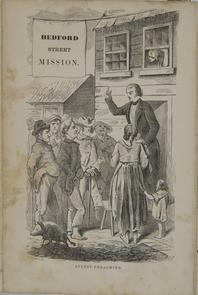 In his 1860 book, Sorrow's Circuit, Benjamin Sewell described his year of service at the mission. 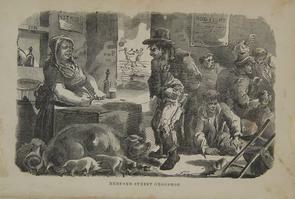 His Dickensian descriptions portray the degradation and squalor of life in the neighborhood — the "wretchedness" of the "cribs" where Irish and blacks lived, the drunkenness, the brawling and the dire need for salvation. 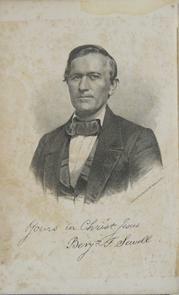 Sewell, Benjamin T., rev. 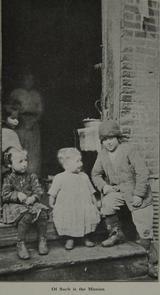 by J.B. McCullough. 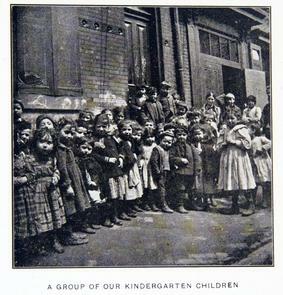 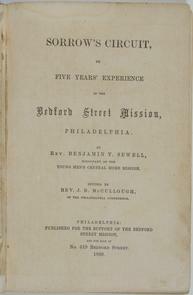 Sorrow's Circuit, or Five Years Experience in the Bedford Street Mission, Philadelphia. 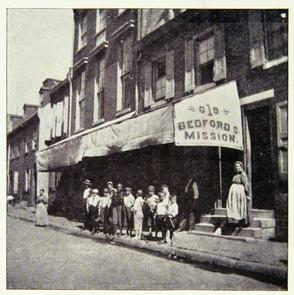 Philadelphia: Bedford Street Mission, 1860. 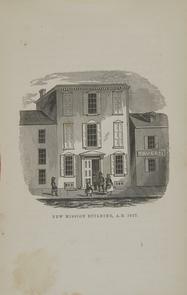 Emily Swift Balch Collection, Historical Society of Pennsylvania. 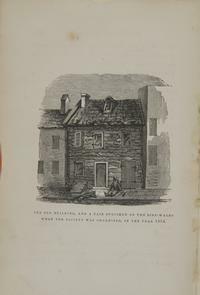 Wilson, Kathryn E. "Fashioning Difference: Women's dress in Nineteenth-century Philadelphia." 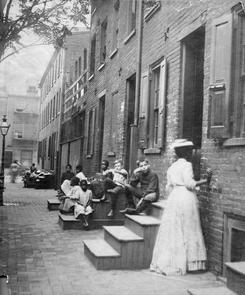 PhD diss., University of Pennsylvania, 1996.